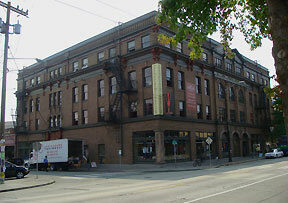 On Pine Street, enter the Oddfellows Building under the large red awning and go up the stairs. The West Hall is directly across the hall from the Century Ballroom. We meet to dance deeply into a soulful connection to ourselves, others and community. Following our own bodies and Open Floor core movement principles, we enter a meditative journey of dance, using all styles of music from around the world.